If you’re looking for Halloween things to do in Arlington, ghouls, you’ve come to the right place. In no particular order, here are nine boo-tiful options for scary good fall fun. Tiny ghosts and goblins can say Boo times two this year, since both Traders Village and the City of Mansfield are hosting costume-friendly Boo Bashes that feature everything from carnival games to costume contests to apple bobbing and more. City of Mansfield Boo Bash: Fri., Oct. 27 at 6 p.m. Traders Village Boo Bash: Sun., Oct. 29 (gates open at 8 a.m.). The annual ghostly goings-on at Globe Life Park continue once again with Trick or Tours (Fri. and Sat., Oct. 28 and 29), where families can enjoy trick-or-treating, daytime ballpark tours, and fun and games in the Kid’s Zone; and at Field of Screams (Fri., Oct. 28 through Halloween) which offers a special Halloween-edition night tour of the ballpark for goblins 14 and older. Get tour times and pricing. Ghostly gatherings in Downtown Arlington include plenty of creepy cocktails, howlingly-good live music and Halloween parties at Hooligan’s Pub and Milo’s Bar (Sat., Oct. 28), as well as two spooky shindigs at Division Brewing (Fri. and Sat., Oct. 27-28). See websites and social media for details. The hard-working goblins of Arlington Parks & Recreation are hosting three parties for kids and grown-up goblins: the Spooky Swamp at Hugh Smith Recreation Center, featuring swimming and other Halloween activities (Fri., Oct. 27 at 6 p.m.); Hugh’s Haunted Family Night, where kids can “Trunk or Treat” and visit Hugh’s Haunted House (also on Fri. Oct. 27 at 6 p.m. at Hugh Smith. ); and the Monster Smash, where tennis-loving ghouls can enjoy Halloween-themed refreshments and mixed-doubles tennis matches at the Arlington Tennis Center (Sat., Oct. 28 at 5 p.m.). 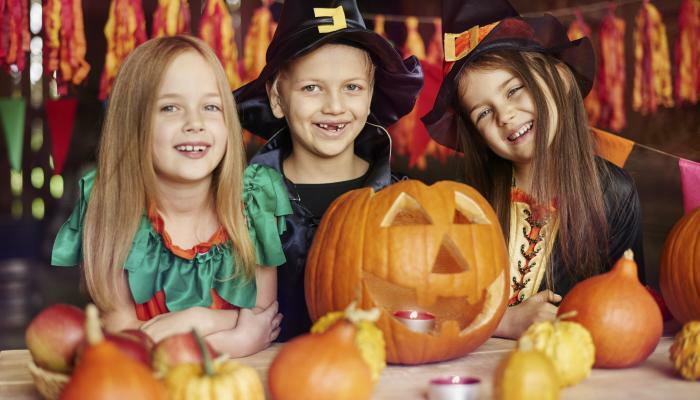 Celebrate Halloween in nostalgic small town style at the Town of Pantego’s Halloween In The Park festival, where you and the kids can join in on some pumpkin-carving and costume contests (including a costume contest for four-legged furry kids), photo booth fun, arts and crafts and more. Sat., Oct. 28 from 5:30-8:30 p.m. at Bicentennial Park.